Before I start recapping this series, I thought I would do a quick character introduction. This would make the story a little easier to follow for those new to the world of Chinese period drama. I’ve decided to do the most important ones, so please don’t get annoyed that I didn’t introduce everyone and their mother in this post. If I did, then I would need about 4-5 days and six cups of coffee. The story of Lu Zhen is a not just a love story, but a story of a smart, resourceful woman who was able to navigate the snake pit known as the Emperor’s Harem. 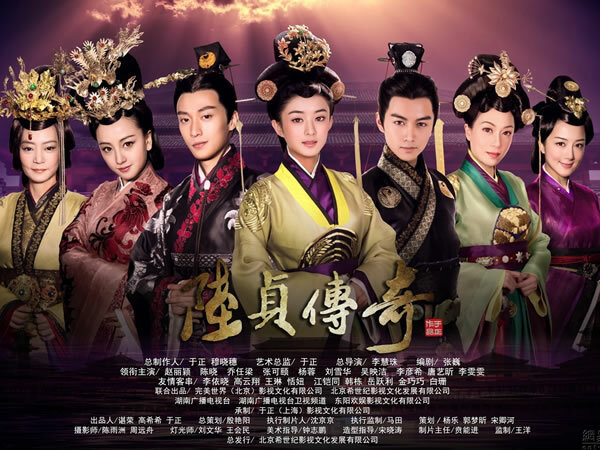 She not only becomes a high ranking official, but manages to stay alive in the factional war between the Dowager Empress (team Gao Yan) and the Royal Concubine (team Gao Zhan). 赵丽颖 / Zhao Li Ying – Lu Zhen. The daughter of a wealthy ceramic maker. She’s the oldest of two daughters, her sister is by another mother. Lu Zhen’s mom died very early (before the start of the drama) and Lu Zhen was raised by her dad like a boy. She’s very smart and has a lot of business savvy. An intuitive learner with a lot of ambition, she enters the palace under less than happy circumstances but does her best to become the first female prime minister. Her strongest assets is her quick wit, intuition, and an ability to see the bigger picture. She’s smart but she doesn’t play the palace games by rules. She forges her own roads bucks traditions. Her weakness is her pride and temper. She is deeply in love with Gao Zhan, but her ideas about love are very modern. She’s not like the concubines who are content to share a husband and she’s very adamant about loving only one man in this lifetime. 杨蓉 / Yang Rong – Royal Concubine Xiao. She is the last princess of her old country, sent to live in with the royal brothers and to become the future queen. She grew up with Gao Zhan and Gao Yan, who both loved her very much. When she married Gao Yan, she was deeply in love with Gao Zhan, but due to circumstances, she was forced into it. She deeply, deeply hates the Dowager Empress, thus thwarting her with every chance she gets. In terms of power, the Royal Concubine has as much power as the Dowager because Xiao Gui Fei (aka royal concubine in Chinese controls the Empress Seal, the symbol of the ruler of the harem. She still holds a torch for Gao Zhan and does everything in her power to make sure that Gao Zhan will inherit the throne once Gao Yan dies. She is ruthless and cunning with very little show of mercy. But she is a passionate woman who, once decides to do something, sees it towards the very end. 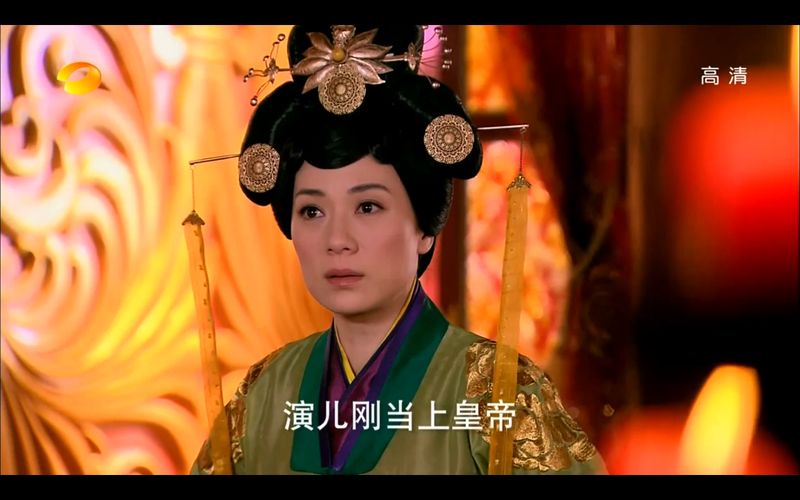 刘雪华 (劉雪華) / Liu Xue Hua – Lou Zhao Jun also know as the Empress Dowager. Technically she wasn’t the empress ever because Gao Zhan’s mother was the empress. However, for the sake of clarity we will call her the Dowager Empress since she is the mother of the Emperor. Now she is ruthless and can be very vindictive. Her plan to put her son on the throne began years before he was born. 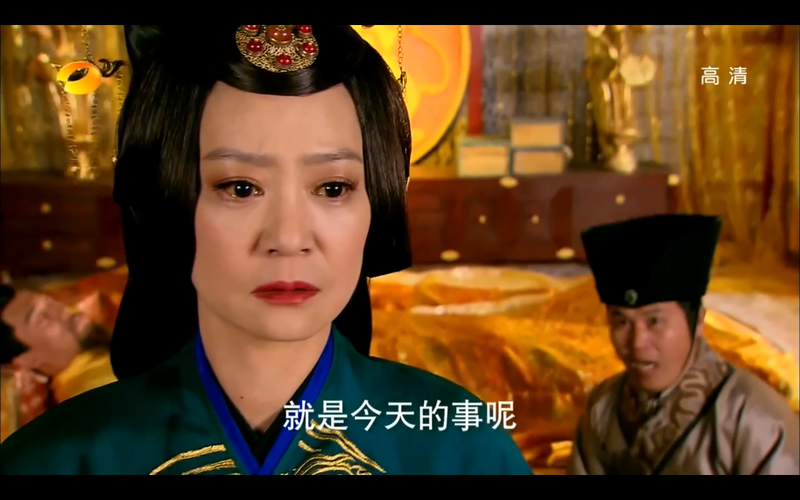 She killed Gao Zhan’s mother, and then her own husband to secure the future of her and her son. She is the daughter of a very high ranking minister and has power in her own right because of the wealth of her family. She harbors intense hatred when it comes to Gao Zhan and his sister the Princess. Her philosophy is to that even if she has to kill a thousand innocent people to achieve her goal, then it’s very much justified. 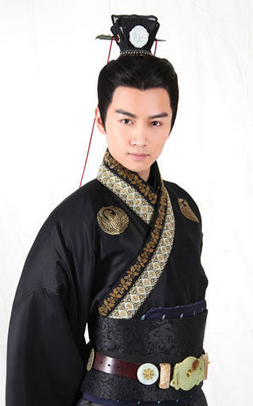 陈晓 / Chen Xiao – Gao Zhan, Chang Guang Wang (they use it interchangeably, Chang Guang Wang is his official title. The younger but more loved son of the deceased emperor. He was originally the heir to the throne but due to political maneuvering, he settles in becoming the next in line and a royal duke. He and Gao Yan the Emperor share a deep bond of brotherhood, regardless of the bitter war between Gao Zhan and Gao Yan’s mother, Dowager Empress Hou Shi. Gao Zhan is brave and understands the political atmosphere very well. He is always on his guard in terms of the Dowager Empress and shares a complicated past with the current Royal Concubine. 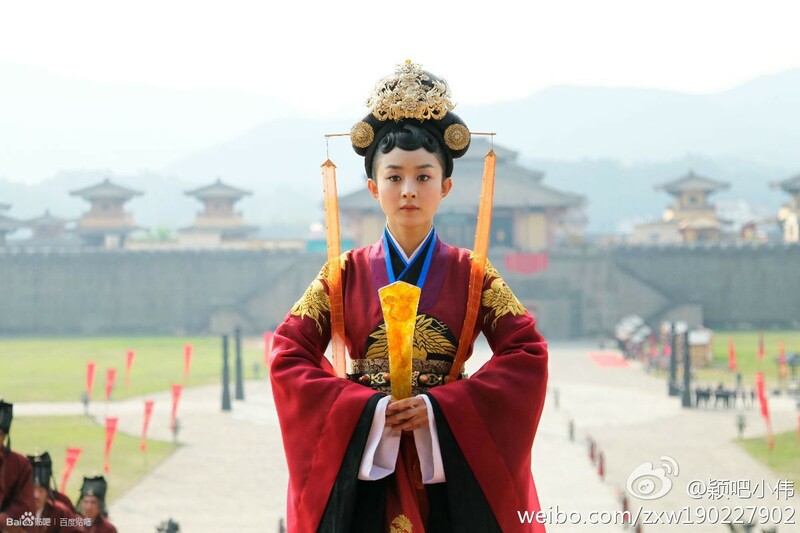 Gao Zhan meets Lu Zhen several times outside the palace and develops feelings for her. Initially, he doesn’t tell her who he is, or that he is the next heir to the throne. There are sparks every time they meet. Gao Zhan, like Lu Zhen is very stubborn and prideful, but as they fall deeper in love he realizes that he can sacrifice anything for the only woman he needs in his life. 乔任梁 / Qiao Ren Liang – Gao Yan the Emperor. While he is the oldest, he is also very sickly. He loves Gao Zhan more than anything in the world, except for his Royal Concubine Xiao. While he has taken many wives due to his status as Emperor, the only one he loves and is will to let get away with anything is Royal Concubine Xiao. He is a kind kind man with no want of the throne. 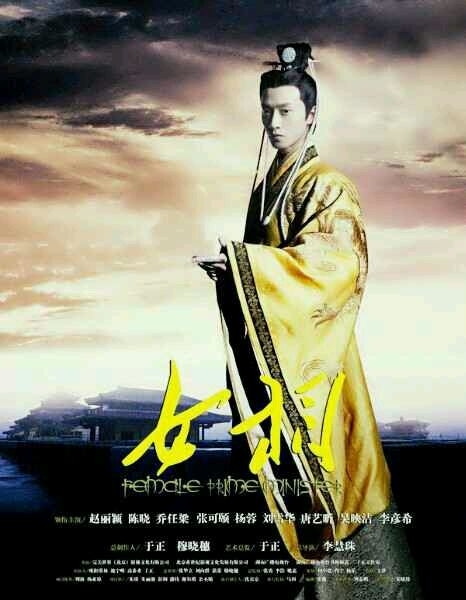 He is humorous and lonely, stuck in the battle of succession between his mother, the royal concubine and his brother. Gao Yan knows that Gao Zhan loves Lu Zhen and does everything in his power to keep them together. On a scale of most awesome brothers who care more about their siblings rather than power, he’s ranked pretty high up there. 張可頤 (张可颐) / Cheung Ho Yee (Zhang Ke Yi) – Lou Qing Qiang: Originally the handmaiden of the Dowager Empress. She is a distant relative who has been a faithful henchwoman to the Dowager. That doesn’t mean she doesn’t look out for her own interests as well. Rather, usually the two women’s interests align, most of the time. She is the hand of the Dowager so to say. She is one of the two highest ranking Woman Official in the palace. She is as cruel, cunning, and dangerous as the dowager. 唐艺昕 Tang Yi Xin – Shen Bi. She is the wealthy daughter sent to become a palace maid (which only the smartest, prettiest, etc were allowed to become) Shen Bi is haughty and proud. She is constantly at odds with Lu Zhen. 吳映潔 (吴映洁) / Wu Ying Chieh (Wu Ying Jie) – Dan Niang: Closer to Lu Zhen than a sister. She loves, more than anything, to eat. 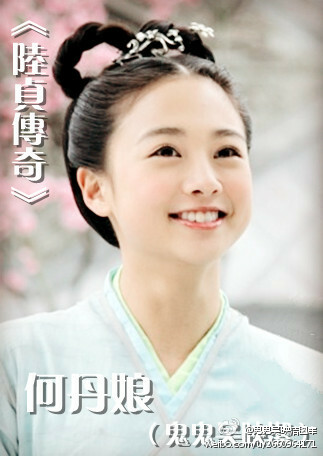 She dreams about it and her goal is to become a female official in charge of the Royal Cuisine She is happy go luck, sweet, and very very loyal to Lu Zhen. Yes. There are many many more characters with huge roles in the drama. But being the arbiter of what goes on this blog, I put the ones I thought had the best story lines and didn’t drive me insane with terrible acting. Having watched the entire series with the faithfulness of a Golden Retriever, it gives me great pleasure to recap this fantastic drama. Not that there aren’t any problems, but it’s been the most coherent drama that has come out of China with the most dazzling costumes. Sometimes, Chinese period dramas tend to cut corners and the result is usually a bad story with a bad visual. But by golly this drama is like food for the eyes. Every detail, down to the last stich of the clothing is meticulous. I hope you will enjoy this drama as much as I have. See you wednesday for the first 5 episodes recaps!